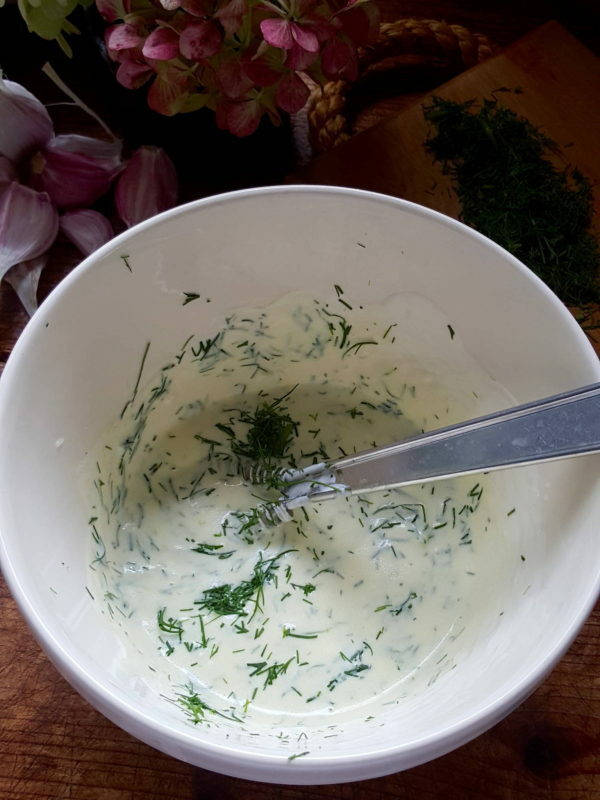 A really useful sauce for all types of fish, meats and vegetables – check out the link to dill to see what else it goes with. 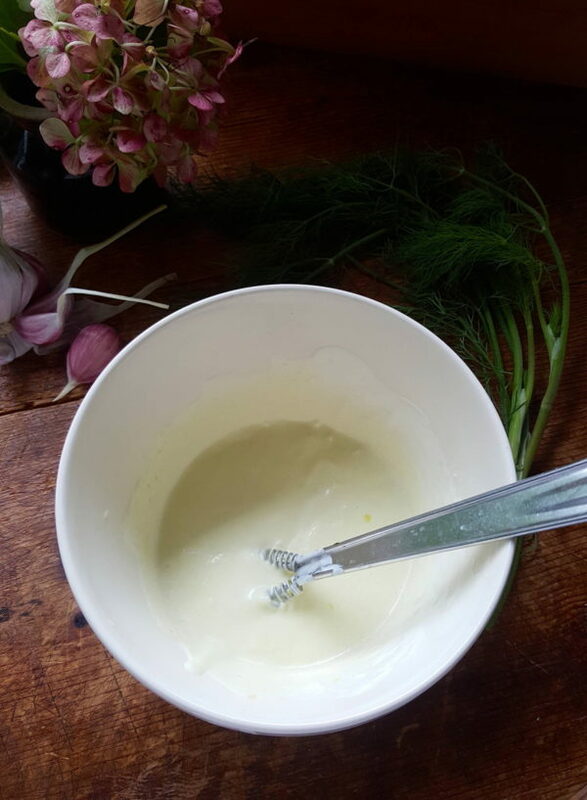 1 Whisk yoghurt, salt and garlic together in a bowl. 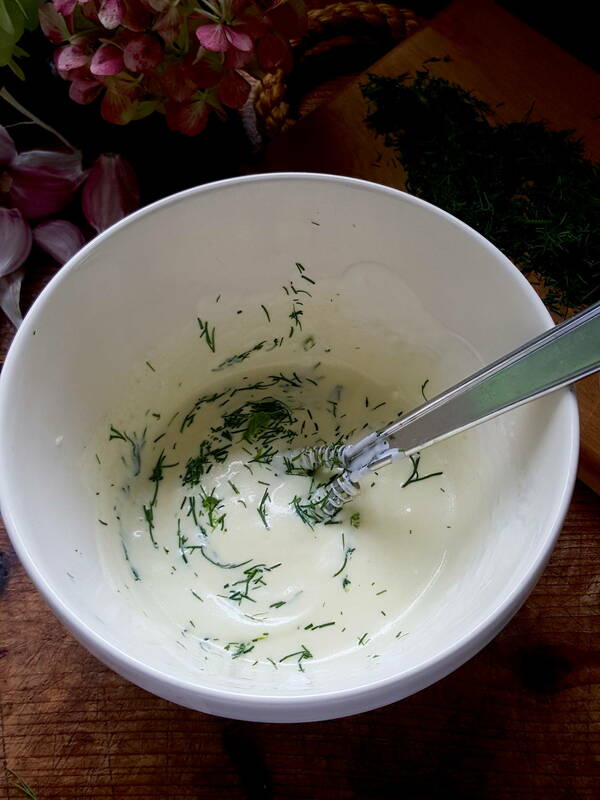 Whisk in lemon juice, then oil. Chop dill and add. Cover and chill until required. 2 Use sauce as is, or thin with a little water. Summer on a plate! Delicious and good for you. Rings all the bells ... especially good for Xmas day.